There is, as everyone knows, an heretical, Calvinist doctrine of predestination. Less well known is the fact that there is also an Orthodox doctrine. 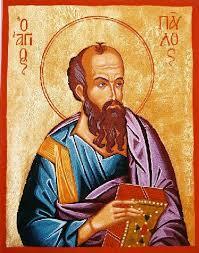 It is contained in two verses from St. Paul’s Epistle to the Romans and in the patristic commentaries on it. Almost the same as the Orthodox doctrine is the teaching of St. Augustine, who, however, made some unguarded comments (what writer does not make unguarded comments occasionally?) that have been interpreted as supporting Calvinism and have caused his name to be vituperated almost ad infinitum by today’s “new soteriologists”. Finally, there is the teaching of Fr. Panteleimon of Boston, followed by that of Metropolitan Ephraim of Boston, who appear not to know the Orthodox doctrine of predestination, who revile St. Augustine even more than other “new soteriologists”, and who have a teaching that in effect denies true predestination, substituting the vain and feeble surmises of human justice for a God-fearing prostration before the abyss of God’s judgements. Let us look at each of these doctrines in turn. Calvinism. The first, Calvinism, can be disposed of quickly because all Orthodox agree that it is false. Calvin believed that all human beings are assigned by God in a completely arbitrary manner to two categories: the saved and the damned, and that there is nothing that any man can do to take himself out of one category and into the other. “Predestination” for him meant “predetermination” and fatalism; and it involved the denial of the place of freewill in our salvation. The Orthodox Teaching. St. Paul writes: We know that all things work together for good to them that love God, Who are the called according to His purpose. Those whom He foreknew (προεγνω) He also predestined (προώρισεν) to be conformed to the image of His Son, that He might be the firstborn among many brethren. (Romans 8.28-29). Commenting on this passage, St. Theophan the Recluse writes: “God knows everything – both the past, and the present, and the future, – the beginning and the end of every man, and in accordance with this knowledge He makes His decisions: in knowing beforehand, He foresees; in deciding how things must be beforehand, He predestines. He sees beforehand all the free actions of men and, in accordance with them, He predestines concerning them. So here the Lord foresaw who will truly believe in Jesus Christ and follow Him through an exact fulfilment of His commandments and, having been sanctified by grace, will become a saint. Therefore He also predestined that these should be saints, ‘in conformity with the image of His Son’, that is, that in the sacrament of Baptism, with the help of the gifts of grace, they should be clothed in the image of Jesus Christ and become like Him, which they will attain in full measure in the future life: so that the Incarnate Son of God should be ‘the first-born’ – the first to re-establish in Himself a pure human nature, and the first among His followers – His brethren. That is God’s predestination concerning those who are being saved. How does He bring it to fulfilment? “Moreover, those whom He predestined, He also called; and those whom He called, He also justified; and those whom He justified, He also glorified (v. 30). This predestination of men to salvation God accomplishes and brings to fulfilment by drawing them to Christ (John 6.44), by disposing their spirit to realize the necessity of salvation in Christ; then by justification – by liberating them from sins and regenerating the spirit of those who believed in Him by the grace of the Holy Spirit; and, finally, he finishes by glorifying them also in the body in the life to come. St. Augustine’s Teaching. Without entering into a detailed discussion of St. Augustine’s teaching, a few relevant points will be made here. First, it is often claimed that St. Augustine rejected the place of man’s free-will in his salvation. This is simply not true. It is true that, meditating on St. Paul’s words in Romans 9.14-21, where the apostle places great emphasis on God’s election rather than on man’s making himself worthy of election (for example: “It depends not upon man’s will or exertion, but upon God’s mercy” (v.10)), Augustine does say some things that have been interpreted in a Calvinist sense. But he vehemently rejected the charge that he denied free will. “Thus, when it was objected to him that ‘it is by his own fault that anyone deserts the faith, when he yields and consents to the temptation which is the cause of his desertion of the faith’ (as against the teaching that God determines a man to desert the faith), Augustine found it necessary to make no reply except: ‘Who denies it?’ (On the Gift of Perseverance, ch. 46).” Again, he writes: “It is our part to believe and to will and His part to give to those who believe and will the ability to do good works through the Holy Spirit”. A perfect statement of the Orthodox doctrine of synergy! However, Augustine is more culpable in his teaching that some are “predestined to eternal death”. For, as we have seen, there is no such thing in the Orthodox teaching, but only predestination to salvation. Moreover, there are some grounds for believing that he did not accept the apostle’s words that “God wills that all men should be saved” in their literal sense. But here, too, we must be careful not to ascribe to him a Calvinist kind of fatalism. In the passage where Augustine speaks of “predestination to eternal death”, he immediately adds: “not only because of the sins which they add of their own willingness, but also because of original sin”. In other words, “predestination to eternal death” is not the result of some kind of completely inscrutable and arbitrary choice on the part of God, but of the sins of man. This does not remove the error of Augustine’s phrase, but it does make us think that he did not mean “predestination” in the Calvinist sense here, but rather something closer to “condemnation”. The Teaching of Fr. Panteleimon. This is preceded by a ritual condemnation of St. Augustine of the kind that we have become so accustomed to in the writings of the “new soteriologists” such as Romanides and Kalomiros. Only in the mouth of Fr. Panteleimon it is more extreme than anything I have read elsewhere: “Both Origen and Augustine were so enamored by pagan philosophy, that they fell into great errors and heresies. I maintain that what Origen was in the East, Augustine was in the West – the originator of all heresies that followed in their time. There is no heresy in the East which does not have its seeds in Origen, and no heresy in the West that does not have its seeds in Augustine. “Because of this novel teaching of predestination, Augustine not only did not have any problem with consigning most of mankind to eternal damnation. But there could be no other way about it. He had no qualms about this. In his pagan legalistic mind, this is what God’s justice demanded, and consequently God was bound. He would not, or to put it more plainly, could not overrule His own Divine justice and predestination.” (p. 5). Again, while we might agree that Augustine’s thought is legalistic at times, we cannot in any way agree that it was pagan. His bowing down before the abyss of God’s judgements, and His God-fearing refusal to question them, far from showing that He believed that God was bound by some pagan goddess of chance or necessity, shows his profoundly Orthodox refusal to twist the evidence in favour of a more palatable theodicy. There is nothing pagan in the assertion that “God’s justice requires expiation for sin”, any more than it is pagan to say that “God’s love required that He die as a sacrifice for the sin”. In both statements we are simply making assertions about the nature of God as He reveals Himself in His actions towards us. We are saying that God always acts in accordance with justice as well as love in order to abolish sin and reconcile men to Himself. Irrational nature is bound by necessity, the laws of nature that God has decreed. Rational beings are free, in that they can act in accordance with their nature or against it. But the absolute freedom that belongs to God alone is far above the freedom of rational creatures. As St. Maximus the Confessor explained, God does not have freewill in the sense that He makes choices between good and evil – which always presupposes the possibility of committing evil. Rather He is like the Child in Isaiah Who, “before he knows either to prefer evil or choose the good, [or] before He shall know good or evil, refuses the evil, to choose the good” (7.15-16). That is, good is so intrinsic to His nature that He chooses it without any possibility of choosing the opposite. Thus God is just, not because He makes a choice between acting justly and acting unjustly (which is the case with all those who have not reached perfection and deification), still less because He is compelled to by some external force or principle, but because justice flows from his nature like light from the sun or water from a source. That is why God does not simply act justly: as St. John of the Ladder says, He is justice – no less than He is love. Having clarified this point, let us pass on to Fr. Panteleimon’s main thesis, which is that it is unjust that men who have never had the opportunity to become Orthodox in this life should not have a second chance after death. This is related to his further thesis that Christ’s Descent into Hell is repeated continuously in order to give this chance to those who have died before having Orthodoxy taught to them. Which is related (although the connection is not immediately obvious) to his further thesis that the idea propagated by St. Augustine and several Orthodox Popes that in His Descent into Hell Christ did not save all those who listened to Him is false. Let us begin with this third thesis. We know concerning Christ’s Descent into Hell that “He went and preached unto the spirits in prison, who were at one time disobedient when the long-suffering of God waited in the days of Noah, while the ark was being prepared” (I Peter 3.19-20). But do we know whether all these accepted His preaching and were saved? Fr. Panteleimon cites the story of a monk to whom the philosopher Plato appeared, saying that He had believed in Christ’s preaching when He descended into Hell, and so was saved. Fair enough; so we know that Plato was saved, and we may hope that other worthies among the ancients, such as Socrates, were also saved. But does that entitle us to say that all were saved? But Fr. Panteleimon says: “If Hades were not annihilated by our Saviour in His descent but only a ‘bite’ (morsus in Latin), in the words of Saint Gregory the Great, was taken out, then what is there to be so jubilant about and celebrate?” (p. 6). Are we to assume, then, that since Fr. Panteleimon is celebrating, he believes that everyone is saved by the “continuous” descent of Christ into Hades? Surely not, for this is the heretical Origenist theory of the salvation of all! Against this, however, Fr. Panteleimon cites the fact in the feasts of the Church we are transported out of space and time, so that we chant: “Today the Virgin giveth birth…”, “Today there is born of the Virgin…” Today there hangeth upon a tree…” (p. 8). But the fact that we, through the mystery of the liturgy and “Church time”, are enabled to take part in these past events now by no means entails that these events are repeated every time we participate in them. The celebrations are repeated, but the event itself remains unique and unrepeatable. We can understand this most clearly with regard to the Crucifixion. This took place at one single point in space-time, and the fixedness of the event is emphasized in the Creed, where we declare that He “was crucified under Pontius Pilate” – that is, under this procurator of Judaea, and not an earlier or later one. True, in a mystical sense the Lamb of God was sacrificed before the beginning of time, and His Sacrifice avails throughout time to reconcile sinners with God, being continually offered at the Divine Liturgy. But this continual offering is of one and the same Sacrifice; for, unlike the sacrifices of the Old Testament, the Sacrifice of Christ on the altar of the Cross was “once for all (έφάπάξ)” (Hebrews 10.10). “After He had offered one Sacrifice for sins for ever, He sat down on the right hand of God… For by one offering He hath perfected for ever them that are sanctified” (Hebrews 10.12, 14). The fruit of the Cross is the Descent into Hades and its destruction. But just as Christ’s Blood was shed “for many” (Matthew 26.28), not for all, – because not all believe in Him, – so the Descent into Hades was for the liberation of many, not of all, because not all believed in His preaching. Similarly, we read that when Christ appeared to His disciples after the resurrection, they worshipped Him, “but some doubted” (Matthew 28.17)… So at every stage of the economy of our salvation there is division, choice, “election”. Some through their ready faith are predestined (we are not ashamed of that word in its Pauline, non-Calvinist meaning!) to salvation, while others reject that opportunity. Actually, Augustine’s teaching on predestination has nothing directly to do with the issue whether any pagans were saved at the Descent into Hades. Nor does Fr. 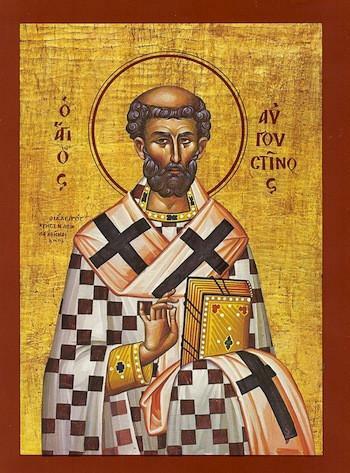 Panteleimon produce any direct quotation from St. Augustine to prove that he believed that all pagans, both before and after Christ, are damned forever. This lack of direct quotations from St. Augustine is something we find in all the “new soteriologists”, and especially in their father, Romanides; for their purpose is not to establish exactly what the great African Father really said and meant, but rather to create a “straw man”, a scapegoat – or, more precisely, a diversion, behind which to introduce their own innovatory teachings. Fr. Panteleimon continues: “If the pagans before Christ were given this opportunity [to have the Gospel preached to them at the Descent into Hades], why should it be denied to the pagans that come after? Why this discrimination between the pagans before Christ and those after Christ? Both lived and died without ever having been given an opportunity to accept or deny the Saviour. Is this the God of love and mercy that we know and worship, to give one group this opportunity and yet deny it all that come after because He so wills it according to His ‘predestination’?” (pp. 12-13). Having already cited some examples of pagans and heretics being saved from Hades through the prayers of the Church, Fr. Panteleimon evidently thinks that the answers to these questions are self-evident, even if, just a little later, he admits that he and Metropolitan Ephraim consider the idea of a “second chance” for pagans to be no more than “a possibility”. However, Fr. Panteleimon’s questions are strictly unanswerable, because they are posed from the standpoint of human justice, which is completely powerless to plumb the depths of Divine Justice. Fr. Panteleimon has invented the idea of “continual” Descents into Hades, because that is what his very human and very personal sense of justice requires. But then, knowing that there is no evidence whatever for such an idea, he tries to protect himself by saying that he put it forward only as “a possibility”. A much more reliable approach is to begin from what we know about Divine Justice, Divine Omniscience and Divine Omnipotence. God knows the hearts of men even before they are born, when they are still in the womb. He does not need to see their actions in order to know who they are. So if He takes a man away from this world before he has encountered the Orthodox Gospel, we cannot accuse him of injustice – perish the thought! If we question God’s judgements, then we are implicitly placing ourselves in judgement over Him, as if we could be more just than He. What folly could be greater than this? “Shall mortal man be more just than God? Shall a man be more pure than his Maker? Behold, He put no trust in His servants; and His angels He charged with folly. How much less in them that dwell in houses of clay, whose foundation is in the dust? (Job 4.17-19). “For who shall say, What hast Thou done? Or who shall withstand His judgement? Or who shall accuse Thee for the nations that perish, whom Thou hast made?” (Wisdom of Solomon 12.12). And yet this, implicitly, appears to be what Fr. Panteleimon and Metropolitan Ephraim are doing. Those who have never heard the Orthodox Gospel, they are implying, do not deserve to go to Hades. Or at any rate they deserve “a second chance” – as if God has “made a mistake” and confined to Hades someone who should be in Paradise, and to “correct the mistake”, the man should be given another chance! But suppose that God in His omniscience knows that if the man heard the Orthodox Gospel he would reject it? Or that, having accepted it, he would fall away later? Perhaps God in His mercy does not send him an Orthodox preacher in order that he should not become guilty of rejecting it, or falling away from it? Of course, these are merely human speculations to explain God’s judgements. But as such they are no less valid than Fr. 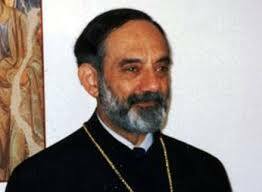 Panteleimon’s about a “second chance”… Better than either course is humbly to accept God’s judgements as just even if we do not understand why or how they can be just. Another striking example of how God can bring anyone to the truth, however apparently hopeless his situation, is provided by the story of God’s favour to the Aleuts of Alaska, to whom He sent angels to teach them the Orthodox Faith in the absence of any human instructor. Fr. John Veniaminov (later St. Innocent, metropolitan of Moscow (+1879)) relates how, on his first missionary journey to Akun island, he found all the islanders lined up on the shore waiting for him. It turned out that they had been warned by their former shaman, John Smirennikov, who in turn had been warned by two “white men”, who looked like the angels on icons. Smirennikov told his story to Fr. John, who wrote: “Soon after he was baptised by Hieromonk Macarius, first one and later two spirits appeared to him but were visible to no one else… They told him that they were sent by God to edify, teach and guard him. For the next thirty years they appeared to him almost every day, either during daylight hours or early in the evening – but never at night. On these occasions: (1) They taught him in its totality Christian theology and the mysteries of the faith… (2) In time of sickness and famine they brought help to him and – though more rarely – to others at his request. (When agreeing to his requests that they help others, they always responded by saying that they would first have to ask God, and if it was His will, then they would do it.) (3) Occasionally they told him of thing occurring in another place or (very rarely) at some time in the future – but then only if God willed such a revelation; in such cases they would persuade him that they did so not by their own power, but by the power of Almighty God. “Their doctrine is that of the Orthodox Church. I, however, knowing that even demons believe – and tremble with fear [James 3.19], wondered whether or not this might be the crafty and subtle snare of him who from time immemorial has been Evil. ‘How do they teach you to pray, to themselves or to God? And how do they teach you to live with others?’ He answered that they taught him to pray not to them but to the Creator of all, and to pray in spirit, with the heart; occasionally they would even pray along with him for long periods of time. These cases lead us to draw the following conclusions: (1) Divine Providence is able to save anyone in any situation, providing he loves the truth. Therefore (2), although we cannot declare with categorical certainty that those who die in unbelief or heresy will be damned forever, neither can we declare that they will be saved because of their ignorance; for they may be alienated from God ”through the ignorance that is in them, because of the blindness of their heart” (Ephesians 4.18), and not simply through the ignorance that is caused by external circumstances. Therefore (3) there is no need to posit any “second chance”, still less a “continual Descent into Hades”. And so (4) if we, who know the truth, say that people who died in ignorance of the Gospel did not need to become Christians in order to be saved, then we shall be guilty of indifference to the truth; for which we shall certainly merit damnation. For while we cannot presume to know the eternal destinies of individual men, we do know this, that the Word of God is true that declares: “He that believeth and is baptised shall be saved; but he that believeth not shall be damned” (Mark 16.16). And again: “Except a man be born of water and the Spirit, he cannot enter into the Kingdom of God” (John 3.5). And again: “He who does not believe will be damned” (Mark 16.16). March 23 / April 5, 2011; revised September 16/29, 2011. St. Theophan, Tolkovanie Poslanij Sv. Apostola Pavla, Moscow, 2002, p. 369. Miniatos, “On Predestination”, Orthodox Life, November-December, 1990. p. 28. St. Justin, in Miniatos, op. cit., p. 84. Diodore, in Gerald Bray (ed. ), Ancient Christian Commentary on Scripture. VI. Romans, Downers Grove, Ill.: Intervarsity Press, 1998, p. 235. Origen, Commentary on Romans, in Bray, op. cit., p. 234. St. Theodoret, Interpretation of the Epistle to the Romans, in Bray (ed. ), p. 234. Fr. Seraphim Rose, The Place of Blessed Augustine in the Orthodox Church, Platina, Ca. : St. Herman of Alaska Brotherhood, 1983, p. 18. St. Augustine, Commentary on Romans 9.15, in Bray (ed. ), op. cit., p. 255. Rose, op. cit., p. 17. St. Augustine, The Soul and Its Origin, in William A. Jurgens, The Faith of the Early Fathers, Collegeville, Minn.: Liturgical Press, 1979. p. 139. Notably Romaric d’Amico, a True Orthodox Christian from Paris who is writing a thesis on St. Augustine defending him against the misrepresentations of the new soteriologists. St. John of the Ladder, The Ladder of Divine Ascent, 24.23. St. Cyril, in Ancient Christian Commentary on Scripture, Vol. 11, InterVarsity Press, 2000, p. 107-108. See Fr. Georges Florovsky, “Redemption”, in Creation and Redemption, Belmont, Mass. : Nordland, 1976, pp. 143-149. St. Chrysostom, Homily 8 on John. St. Jerome, Treatise on Psalm 95. St. Chrysostom, Homily 3 on Romans, 2. St. Chrysostom, First Homily on Hannah, 3. St. Chrysostom, Homily 24 on Matthew, 1. St. Cassian, Conferences, XIII, 8. Prosper, The Call of the Nations, II, 33. Paul Garrett, St. Innocent, Apostle to America, Crestwood, N.Y.: St. Vladimir’s Seminary Press, 1979, pp. 80-81. Garrett, op. cit., p. 85, footnote. “Weep for the unbelievers! Weep for those who differ not a whit from them, those who go hence without illumination [Baptism], without the seal [Chrismation]! These truly deserve our lamentation, our tears. They are outside the royal city with those who have been found guilty, with the condemned. “Verily, verily, I say unto you: except a man be born of water and the Spirit, he cannot enter into the Kingdom of heaven’.” (St. John Chrysostom, Homily 3 on Philippians, 4). Was Fr. John Romanides an Ecumenist? Yes!